I have a fun shaker card for the new sketch challenge. 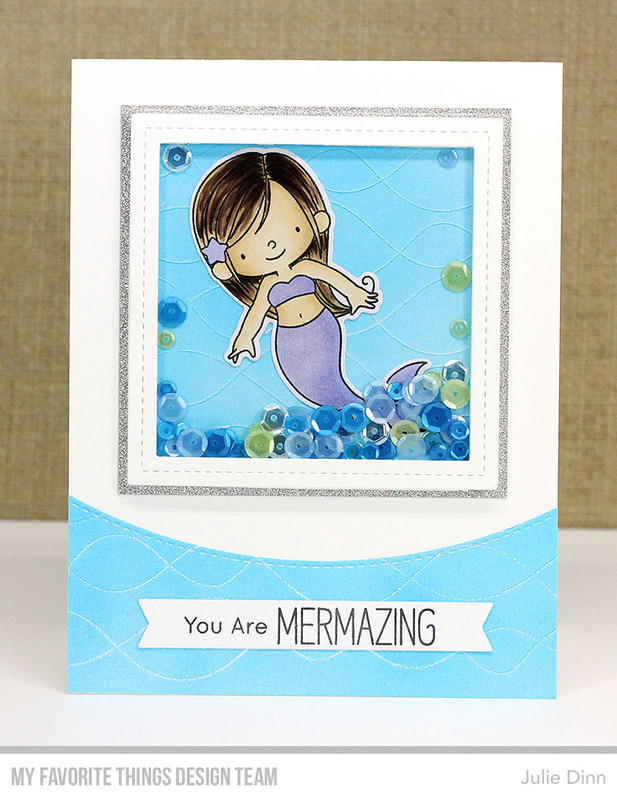 I stamped the adorable mermaid on X-Press It card stock and I coloured it with Copics. I filled the shaker with a mixture of Pretty Pink Posh Sequins.